Seventeen (17) three-car and twenty (20) two-car diesel hydraulic multiple units of class 165/1 (commonly known as 'Network Turbo' units) were built at ABB York (formerly BREL York) in 1992/93. 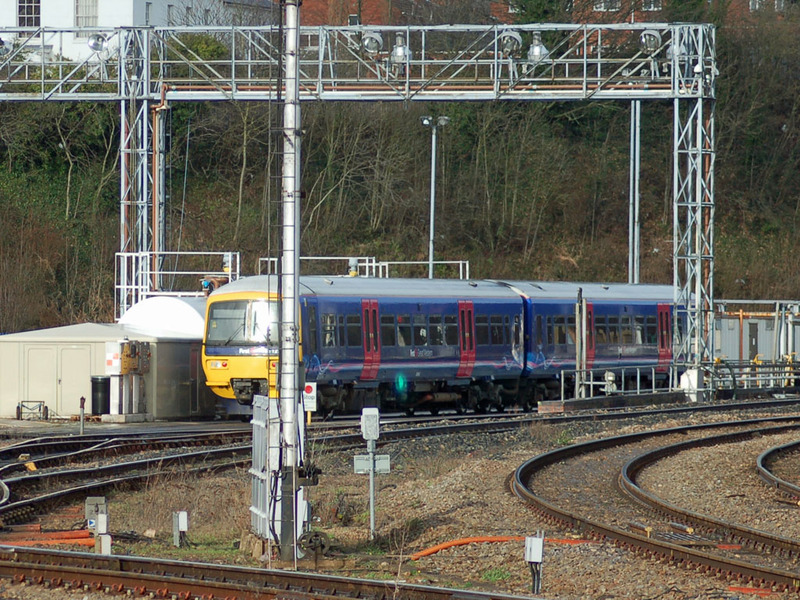 The units were based at Reading depot for use on local services from London Paddington. Later these units started to work services to Worcester and Birmingham. 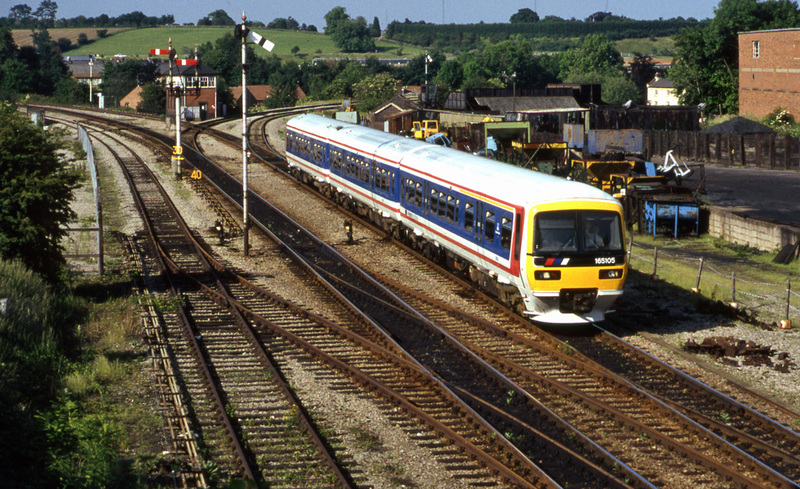 Three-car class 165/1 diesel multiple unit No.165105 arriving at Droitwich Spa on 9th June 1993 with the 17:10 (Saturdays excepted) service from Birmingham New Street to Hereford. Photograph taken by Robert Pritchard. 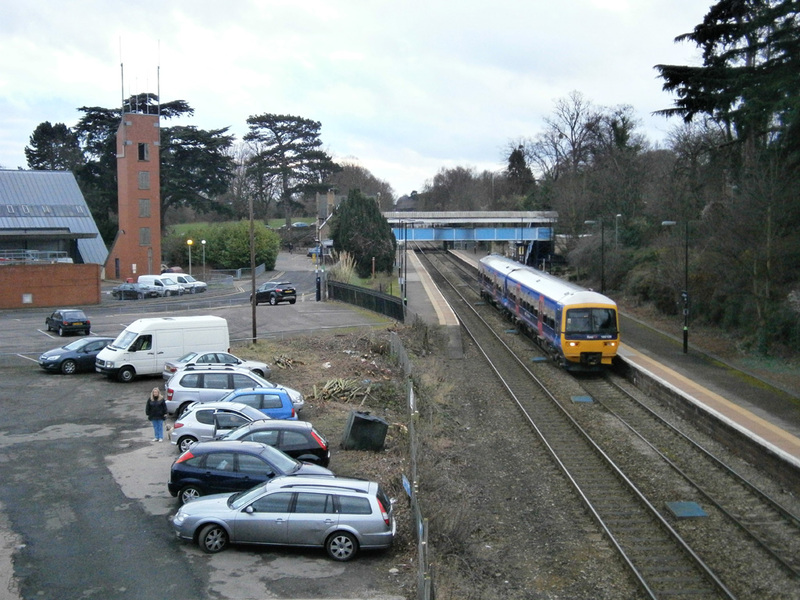 One of the two-car class 165/1 diesel multiple units (No.165127) in First Great Western livery at the stabling sidings on the site of the former steam shed at Worcester. Car No.58942 is nearest the camera and No.58888 is the other car. Photographed by Andrew Smith on 31st January 2008. Class 165/1 two-car diesel multiple unit No.165128 forming the 15:22 Great Malvern to Didcot service (headcode 2Y84) which passes non-stop through Malvern Link and reaches Worcester Foregate Street at 15.30, only eight minutes start-to-stop for marginally under eight miles. (You have to consult the London Midland pocket timetable to discover the timings because the Great Western one only gives departure times.) Photograph taken by Robert Pritchard on 25th January 2012. 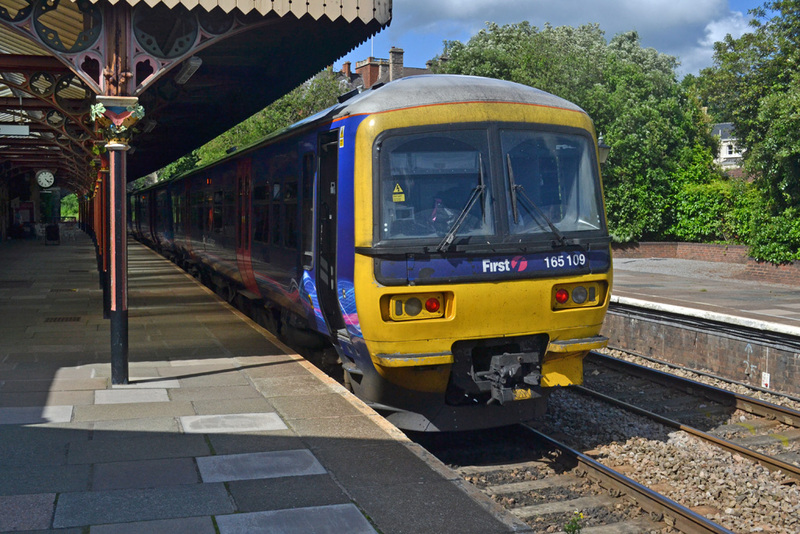 A rare glimpse of the mid-summer sun lights up car No.55423 from First Great Western livery class 165/1 three-car diesel multiple unit No.165109 as it stands at Great Malvern Station with the 16:34 service to London Paddington. Photograph taken by Andrew Smith on 30th June 2012. 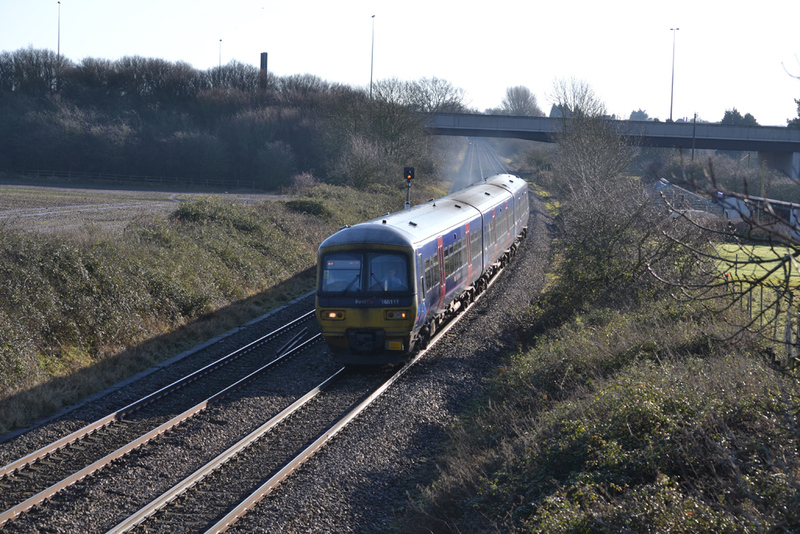 Sunday 19th January 2014 saw a revised timetable on the Evesham line using class 165/1 three-car diesel multiple units operating a shuttle service to and from Hanborough in Oxfordshire. No.165111 had charge of the 09.36 service to Great Malvern (headcode No.1Z11). Photograph taken by Andrew Smith.